When people start asking questions on social media, it’s like a snowball effect. That’s what happening to Sabrina Dhowre right now. Last year around this time, Idris Elba propsed to his girlfriend, Dhowre in front of a packed audience. In Dalston, London at the screening of his directorial debut of the movie, Yardie. Elba got down on one knee and asked for Dhowre’s hand in marriage. Idris met Sabrina, a 30-year-old model of Somali descent who won the Miss Vancouver pageant in 2014, while filming the movie, The Mountain Between Us. Elba spoke with PEOPLE magazine about falling in love while making a movie about falling in love. 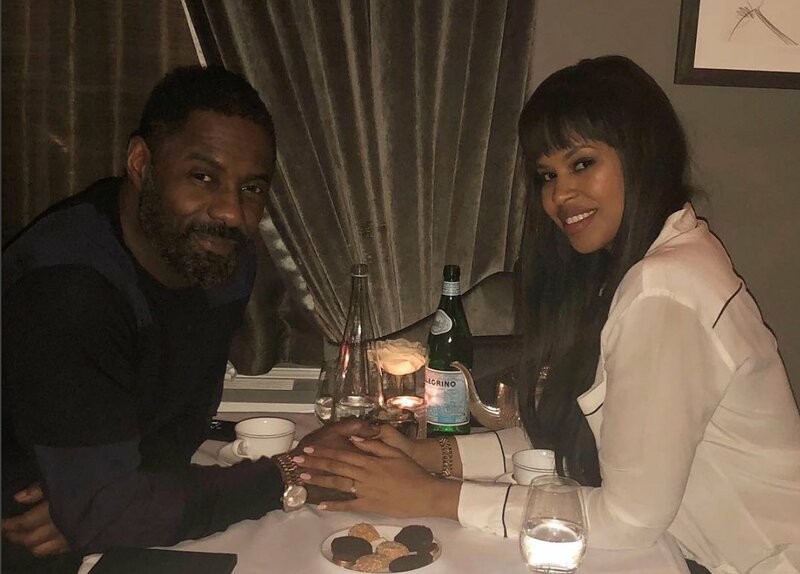 Idris Elba keeps his love life pretty private. No social media is wondering if Dhowre has any Black friends after posting pics from her bachelorette party at a resort in Utah over the weekend. The initial photos she posted were all from the back. Being that these ladies found the perfect position, it was hard to tell if Sabrina posted photos and a video from her bachelorette party where she bid adieu to her single life. “Had the most amazing weekend with the most amazing people. I love you all so much .. #idrina #archyourback missing @jdebruyne @gurppanesar”. But her Instagram followers had some questions about her bachelorette party. Most of Dhowre’s party aren’t not black, but there seems to be a few sistas. But that didn’t stop her followers to question her. “Sis where’s the family & the friends you had before Idris elba?” asked one user on Sabrina’s Instagram.com page. Another user said, “ion see no Somali girlfriends.” A third user had an explanation for the lack of melanin at Sabrina’s bachelorette party. Most of her followers were so happy for her. With many “Congrats” left on her post. The 46-year-old chocolate love, who was born in Hackney, London, England and he’s 16 years older than his bride-to-be. They are expecting their first child together.